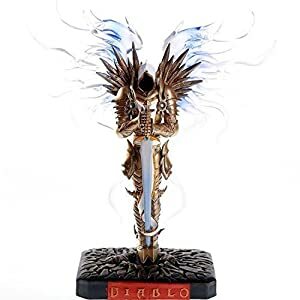 Diablo is a videogames series that started in 1996. It is the major exemplar of the AARPG or hack-and-slash video games. In fact, the category is often called “Diablo-like”. 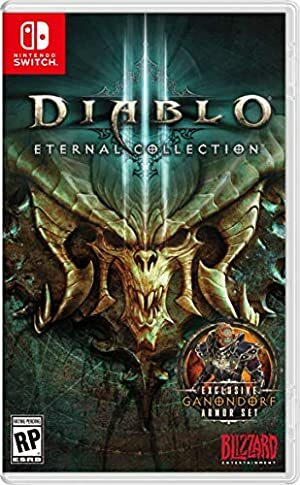 Diablo II was released in 2000 and Diablo III was released in 2012. These are heroic fantasy games, with a bleak, grim and brutal atmosphere. The central conflict is the never-ending war between angels and demons. 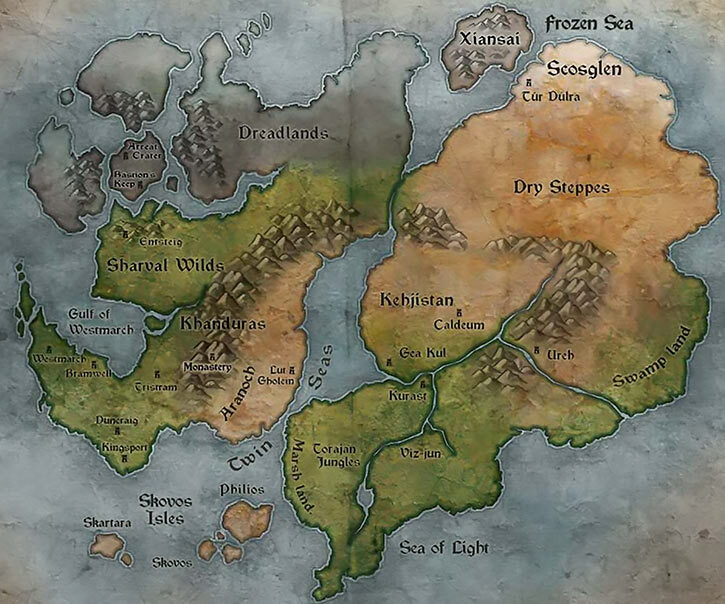 Over the decades, this world — called Sanctuary — has gained a distinctive texture and lore. One of the playable Diablo III characters is the “witch-doctor”. At first glance, it’s a Blizzard Faux Pas™. The only Black playable character is semi-crouching in an animalistic manner, is saddled with an accent reminiscent of prior Blizzard racial cluelessness, and is decked out in garb that is *straight out* from the 1907 Colonial Exhibition . The voice acting (by Erica Shukrani Luttrell , since I played the female version) is charismatic and attaching. The implied backstory of the character folds neatly into the storyline (particularly the Reaper of Souls expansion). The character has an arsenal of fun and distinctive spells. Really, all one had to do was to let the character stand normally and not wear rejects from the Tintin in the Congo wardrobe. Damnit Blizzard, you had *one job*. Well, two. Avoiding to once again depict Vodun as something from a fire sale 1980s Sunday morning cartoon would also have been nice. This profile uses a “sample character” approach. This method is discussed in our FAQ about video games. Ditch the 1920s Men’s Lurid Adventures In Savage Darkest Africa visuals. Use allusions within the in-game dialogue to offer a fleshed-out backstory for this specific Witch-Doctor. Offer a take on the character’s Nephalem origins, which isn’t developed in-game. Use a specific character build (Helltooth set with Short Man’s Finger ring). Develop the characterisation a bit, also based on in-game dialogues. Explain the context and setting in brief. Guardian of Death part 1 – Diablo context. This here profile. Guardian of Death part 2 – Diablo III events. Guardian of Death part 3 – Appendices. The cinematic trailer for Diablo III, which is… very Diablo. That makes sense, I guess. Here’s the skinny about the setting elements that are important in the story, eh ? The angels and demons both resemble pop-Christianity mythicals , though the specifics diverge. Their unending war has shaped much of the setting. Both demons and angels derive from the primordial being having separated its good essence from its evil essence. Demons are monstrously evil, and usually wish to invade and kill everything with grotesque armies from Hell. Angels tend to be rigid, judgemental and remote. There are seven arch-devils. They used to form a primordial hydra of evil, but the beast’s heads split into discrete entities. The other four are the Lesser Evils. The Prime and Lesser Evils (and many of the demon lords under them) will eternally return. They can’t be slain. Thus, their enemies try to imprison them. Specials artefacts were created for this – the Soulstones. The Soulstones have been successfully used on several gruelling, desperate occasions. After aeons of war, some demons and angels deserted. They created a new world, Sanctuary, where they could live in peace. The catalysts for this desertion were the angel Inarius and the demon Lilith. They had, unthinkably, fallen in love. Their children were the Nephalem. As the Nephalem had both a good and an evil essence, they were more powerful than angels and demons. Thus, the renegade angels and demons strongly considered killing the Nephalem before there were too many of them. As a result, the “evil” Lilith went berserk to protect her children, whom she wanted to use as her army. She killed most of the angels and demons on Sanctuary. And the “good” Inarius used a ritual to ensure that the Nephalem would grow weaker with each passing generation. They were thus doomed to reach an inconsequential power level, “for their own good”. Within a few generations, most children of the Nephalem held little power. They were now known as Humans. They became the dominant species on Sanctuary as they forgot about their origins. However, the Lesser Evils eventually realised that with their evil half, Humans could make fantastic cannon fodder. The Horadrim is a demon-fighting holy order. 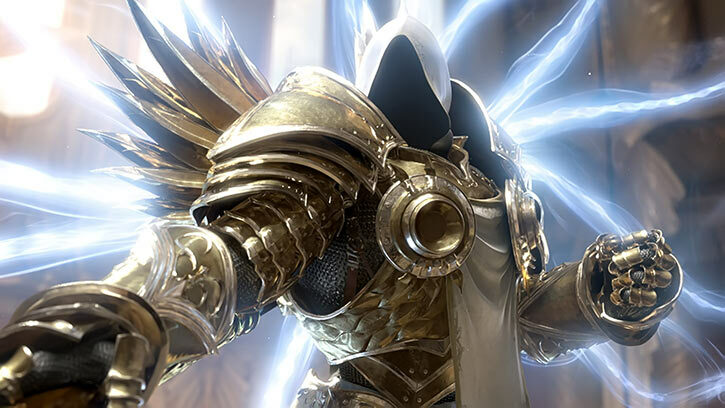 It was formed by Tyrael, the Archangel of Justice, who had an interest in Humans. This initiative, led by mighty Human mage Tal Rasha, was born during a span when the Prime Evils had been banished to Sanctuary. A map of Sanctuary. Click for a larger version. These legendary — but flawed — champions were successful. They managed to use the Soulstones to imprison the Prime Evils. No longer having a purpose, the Horadrim fell apart. They soon became little more than a legend. Deckard Cain was the son of the last Horadrim. Yet he didn’t believe his mother when she spoke of her forgotten order. It is only as an aged scholar that Mr. Cain realised that his mum had been truthful. He worked hard to reconstitute Horadric knowledge, but by then that was a daunting task. Deckard Cain features in all three Diablo games as an advisor, scholar and artefacts expert. His knowledge is invaluable in the struggle against demons. The Soulstone holding Diablo’s essence was hidden by the Horadrim under the village of Tristram. But over time it weakens, allowing Diablo to twist men’s minds. He drives King Leoric into bloodthirsty, paranoid madness. Terror, corruption and devastation spread. With the help of Deckard Cain, the witch Adria and a few surviving Tristram locals, a small set of heroes descends into the vast cathedral near Tristram. This place has numerous underground levels, built to hide the Soulstone. In the end, Diablo is forced back into the Soulstone. But this no longer suffices to hold him. The leader of the adventurers, Aidan son of Leoric, takes the Soulstone with him in the hope of containing its evil. 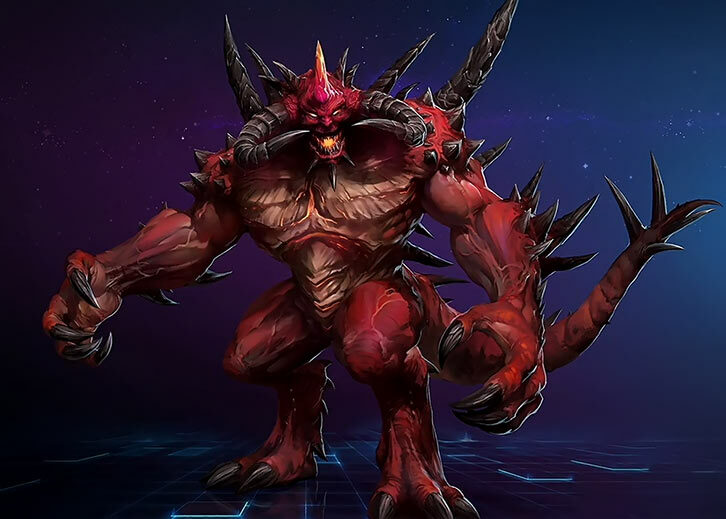 He leaves on a quest to reinforce the Soulstone, so as to more fully imprison Diablo. But Aidan was corrupted then possessed by Diablo. His journey became a path of destruction. A small group of heroes (including an Amazon warrior) gathered to stop him. They also freed Deckard Cain, who had been captured by demons. Despite Tyrael’s efforts, Diablo-as-Aidan freed Baal and Mephisto. He also had dealings with the witch Adria. But the heroes proved to be as strong as the Horadrim before them. They imprisoned Diablo and Mephisto anew. Then they shattered their Soulstones in Hell, to banish them from Sanctuary. However Baal escaped, sowing destruction in the North. The heroes received reinforcements, including an assassin and mage-killer. Baal began tampering with the very fabric of Sanctuary. But thanks to the heroes Tyrael stopped him before the irreparable damage could get too extensive. After this near-disaster, Sanctuary was left alone by the forces of the High Heavens and the Burning Hells for about 20 years. Real Name: Seynameh daughter of Samaha. The final “eh” is pronounced more like “ee” in “‘sheer”, but with something of a “heh” sound as well. Other Aliases: “Guardian of death” is short for her actual title, which awkwardly translates as “Ancient Priestess-Regulatrix Of Spirits And Master Gatekeeper To The Unformed Land”. Marital Status: Single (cannot legally marry). Known Relatives: Lilith (great-grandmother, deceased), Inarius (great-grandfather, deceased), Mephisto (great-great-grandfather, occasionally deceased), Linarian aka Rathma (grandfather, presumed deceased), Samaha (mother, deceased) and various relatives of Mephisto such as Diablo and Baal. 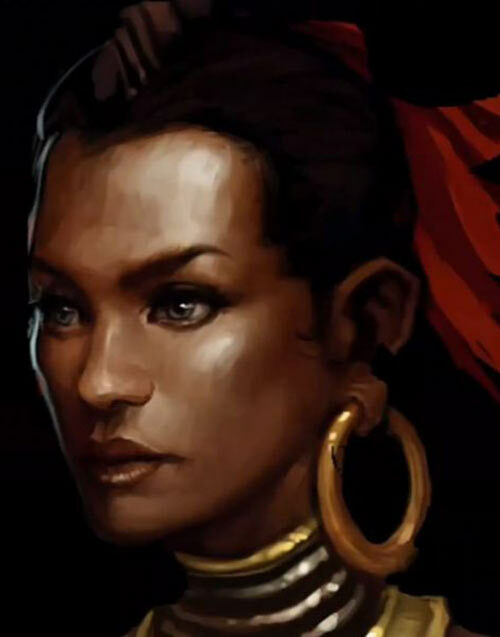 The protagonist of Diablo III (picked among 6+ character classes, each available in two genders) is a Nephalem. This person is powerful enough to defeat senior angels and demons. There are no explanations as to this person’s provenance. It’s left to the player’s imagination. Howbeit, late in the game, a demon mentions that a new generation of Nephalem is being born. This might mean that a new angel/demon couple has appeared, and is hiding somewhere on Sanctuary. The demon claims that his horrific, crazed blood cult followers are tracking these down. They kill new Nephalems in their sleep and feed on their power. Trusting a demon’s account may not be reasonable. However, this sort of statement tends to be accurate in Blizzard games. It could thus be assumed that the Player Character is a member of this mysterious new generation. This would also match bits of dialogue where ancient Nephalem spirits seem amused that those before them do not know of their heritage. However, said bits of dialogue could easily refer to *Leah*, an ally of the Player Character. And it’s not super-coherent anyway. Here we’ll go with a version where the Player Character is actually one of the Nephalems of old. Mostly because that’s the impression I formed early during the game. There’s little to contradict it. But it’s slightly more likely that authorial intent is that the PC is from this possible new generation. Since I’ve used a few words of Fon to represent the language spoken in our sample Witch Doctor’s area, let’s have some Beninese music. Say, one my fav Angélique Kidjo tunes. Seynameh is a third-generation Nephalem. Meaning that she’s at least 2,500 years old. She was orphaned when she was just 3 – too young to understand what had happened. Furthermore, the other Nephalems awkwardly refused to answer her questions. Seynameh thinks that she had a different first name before her parents died. She also developed the impression that her parents had killed each other. Seynameh was raised by her entire community. It was a rich education, exposing her to many different trades and ways of life. The one blind spot was the notion of death, and what had happened to her parents. Predictably, the little girl became fascinated by what adults wouldn’t explain. Thus, she began covertly reading books about death magic. Being Nephalem, her magical puissance was easily that of a modern Human ten times her age. And thus she opened a rift into the afterlife at age 8. Specifically, she breached into the Unformed Land. This seems to be a/ a higher reality, b/ the source of life energy for Sanctuary, and c/ several sorts of afterlife, all rolled into a single dimension . Physically entering it as she did isn’t normally done by Humans. On the one known occasion where this occurred, a powerful witch doctor came back uncontrollably mad as a powerful Phantasm – a Nephalem ghost. Entering the Burning Hells is a simpler, safer (it’s all relative…) operation than entering the Unformed Land. Diablo, Lord of Terror. His appearances went through many changes due to reincarnations, though. Though she was looking for her parents, finding them there was impossible. Nephalem souls transmigrate beyond the Unformed Lands. Instead, the little girl was beset by spirits unable to move on. There were no Humans back then, but there already were some sapient species such as Wendigos . These have simple souls, less likely to leave ghosts than Humans’. The dead saw her Nephalem nature. Many came to petition her about unresolved business on Sanctuary. Shy and overwhelmed, little Seynameh agreed to help them all before running back to Sanctuary in tears. She was crushed by her failure to find her parents. But a promise made in the Unformed Land can never be broken. Agreeing to the petitions sealed her fate. Scared that adults would yell at her about her rift, Seynameh ran away. She gathered such critical survival resources as her favourite doll and her lucky handkerchief, then vanished into the wilderness. Under pressure from the dead, she started her “quests” for them. Seynameh improvised spells to survive and accomplish these goals. Over the centuries, she developed her own magic. She also became much more assertive about the responsibilities she had taken as a child. She only took specific petitions, and became a sort of regulator of the interface between Sanctuary and the Unformed Land. These generally involved the spirits of the dead. But there was a host of obscure, fiddly, arcane rules that Seynameh kept on-rails. Explaining her role would take weeks and a dozen flipcharts. But she generally kept the frontier between life and death running correctly. The early generations of Nephalem had the raw power to handle disruptions at this border, but later Humans did not. Thus, counting how many times Seynameh saved the world is about as daunting as counting how many times Doctor Strange did. And she held her office for much, much longer. Seynameh mostly lived in the Torajan Jungles , in the Far East of Sanctuary. Many Humans there were “relatives” of a sort, descending from her maternal Nephalem grandparents. As such they had the same general skin tone and physical traits as she did. The tribes there were under no impression that she was one of them, though. They called her Guardian-of-Death, having a good idea of her role from ancestors who remembered the Nephalems. Seeing the Guardian work likely played an important role in the emergence of the Umbaru’s faith and rituals. The Unformed Lands (or “Mbwiru Eikura”) play a central role in the teachings of the shamans of the Umbaru people, often called “witch-doctors” by ignorant foreigners. During these centuries, Seynameh would often spend years at a time into the Unformed Lands as part of her job. Over time, the priests of the Umbaru people moulded beliefs about Mbwiru Eikura into rigid rituals featuring much sacrifice. Some shamans rebelled against this. But they have so far failed to turn their theological dissidence into a reformation. While what the orthodoxy taught of the Unformed Land was false and ethically condemnable, it didn’t imperil the frontiers between worlds. Thus, it wasn’t part of Guardian of Death’s responsibilities to put right. The orthodox shamans increasingly presented the reclusive Seynameh as a Baba Yaga figure, a terrible devouring witch to be dreaded. But occasionally, the desperate bereaved would brave the wilderness and taboos to beseech Guardian of Death. They usually petitioned for the resurrection of loved ones. Seynameh generally refused such requests, as they broke the myriad abstruse rules she enforced. Yet she did bring a trickle of people back when that was acceptable. Guardian of Death also accepted on several occasions to come demolish spirits that even congregations of the dreaded Umbaru shamans couldn’t contain. But most often, Guardian of Death brought closure to the bereaved by talking with them and telling them about the afterlife. Over time, this became a problem. People increasingly broke the taboo to seek Guardian of Death, as they heard that the priests lied about her. But that meant that by agreeing to talk to them, Seynameh could turn them into heretics. People wanting to tell the truth about Guardian of Death would likely end up as orthodox sacrifices. Seynameh did not like that coming to see her imperiled desperate, bereaved people. Furthermore, the spirits of the Unformed Land had repeatedly warned her of a looming, catastrophic crisis that threatened them and Sanctuary both. Thus, in 1280, Seynameh packed a few things and just left. She travelled West. She knew that she would arrive shortly after a star had fallen near the village of New Tristram. Investigating this star would give her information. And from there Guardian of Death would… regulate the activities of some of her relatives.